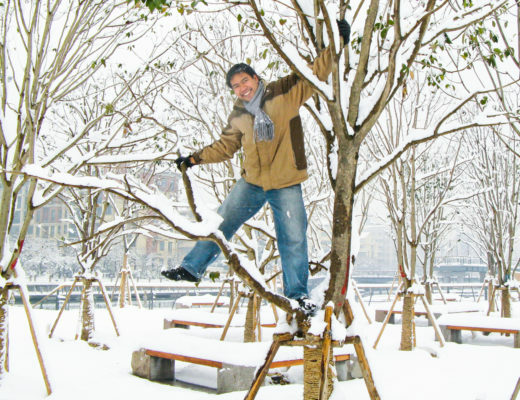 A visit to Hangzhou West Lake involves a lot of walking, climbing and occasional boat rides. 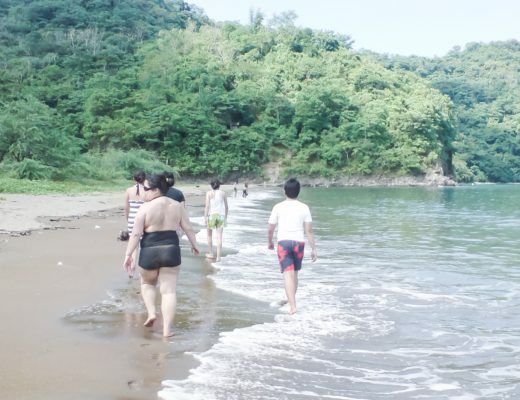 However, it is not unusual to see locals walking, climbing and having occasional boat rides wearing killer pumps and stilettos. Picture this – While climbing the mountains, a woman was all dressed up for an impromptu photo shoot. No kidding! Our schedule was to leave my friend’s apartment before 8:00 AM but it was already past 10 in the morning when we left. We’re on vacation and were too exhausted from the previous night so no pressure to get up early, right? And therefore the plan to visit the Buddhist temples had to be postponed until after lunch. We took a bus and several minutes later we were in front of Lingyin Temple where we met my friend’s friend who would be our guide for that day. Our guide gave us identification cards which are supposed to allow us to enter different sites without paying for entrance fees. Apparently, the government is issuing some sort of membership cards that would allow the bearer unlimited access to tourist spots in the area. Unfortunately, people are using it the way it wasn’t intended to be. 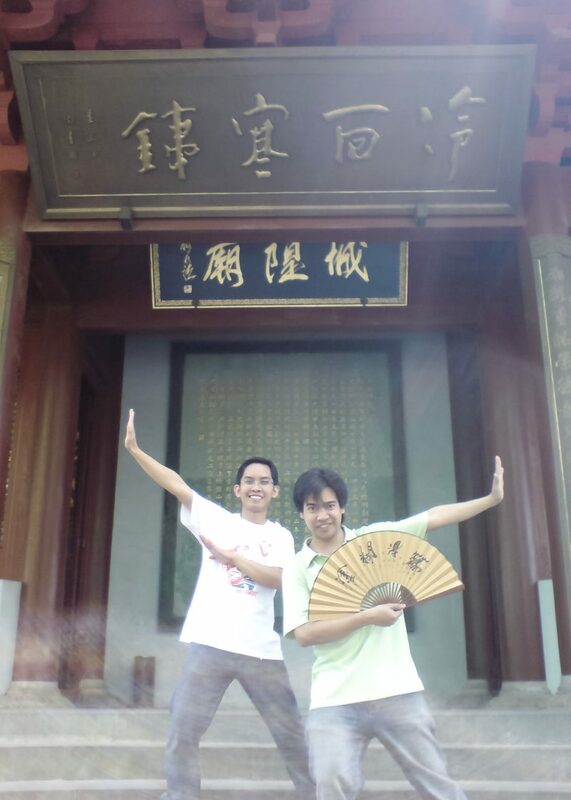 We were able to go past the entrance gates at Fei Lai Feng (Peak Flown from Afar) and Lingyin Temple for free but our guide and her boyfriend had to pay the usual RMB35 fee at the temple gates because the guard caught them. 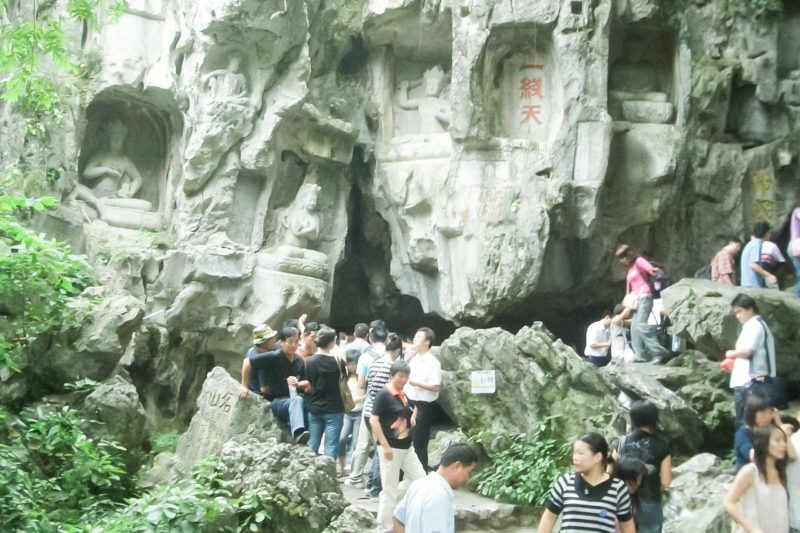 Fei Lai Feng is a limestone highland with several caves with fascinating names such as Red Dragon Cave, Jade Breast Cave, Shooting Sun Cave and Roaring Ape Cave which are inhabited by bats and mosquitoes. 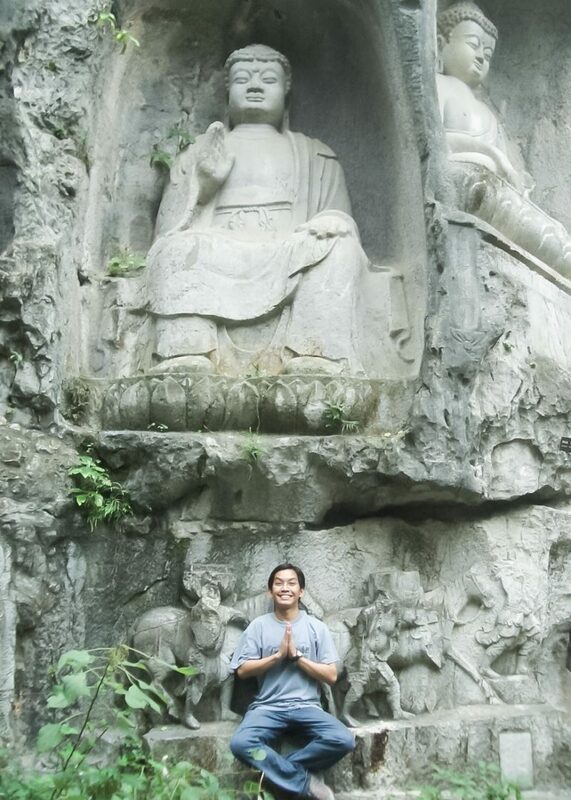 Outside the caves though were the more interesting Buddhist sculptures such as the big fat-bellied Buddha with the biggest smile, Milaufu, whose hands you had to touch as according to a friend, is ready to laugh off and swallow every intolerable elements in the world. Touch his hand and you’ll be bestowed upon with good fortune. 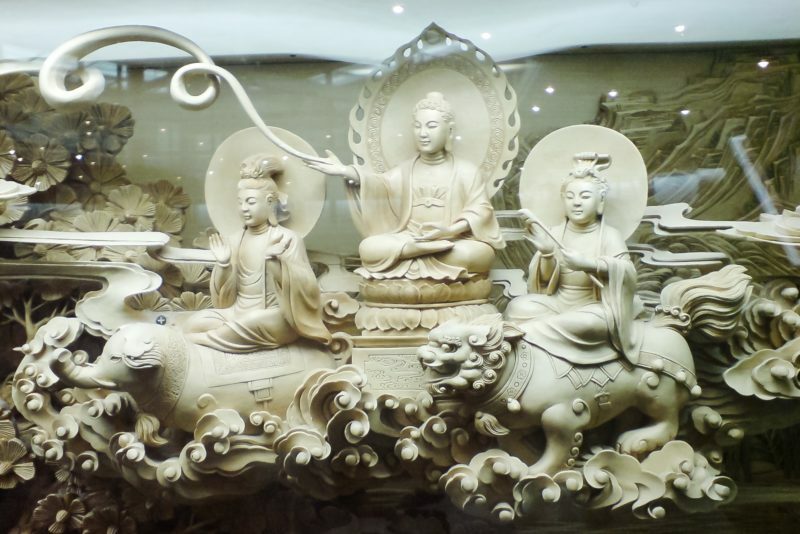 Next to it is the Temple of Soul’s Retreat or the Linyin Temple. 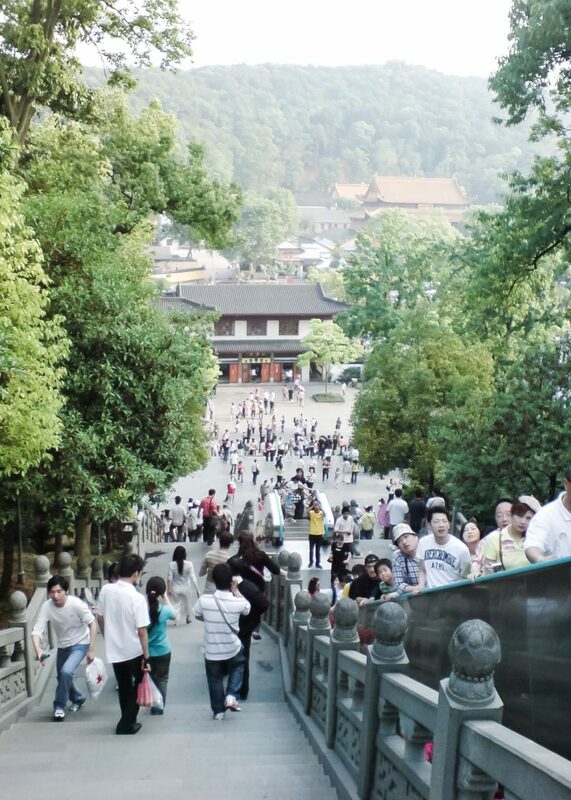 Lingyin Temple has four main temples and you have to climb four platforms to reach the peak. At the peak, we agreed to take the cable car down but to our dismay, the cable cars are only available in the next mountain so we had to descend the mountain by foot. Took the same bus we had earlier and went back to Hubin road where our favorite spot, the Music Fountain, was waiting for us with its waters dancing along traditional Chinese music. And that was how we spent our first weekend in the West Lake in 2007. We were with my eight-month-old daughter and climbed mountains. 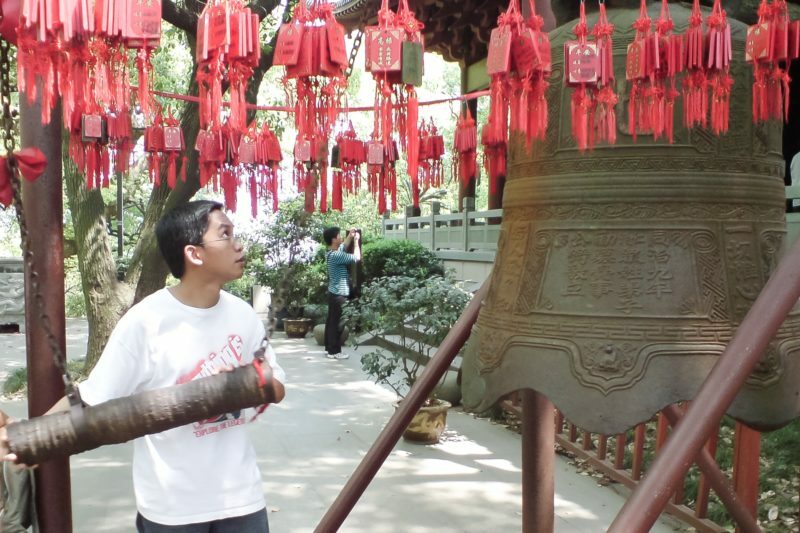 The next year we had another trip during the National Day, the weather is sweltering hot and our first stop was the Wushan Temple. Midway to the climb, we saw people repeatedly banging a huge bell. We asked what was going on and we were told that you have to bang the bell as many times as your age. Just for the experience, we battered a temple bell without knowing what was all the banging are for and climbed the top of the pagoda. Looking from a distance, one would say all temples are built just the same. You’ve seen one and you’ve seen them all. But in fact, their interior details would tell exactly how different one is from another. 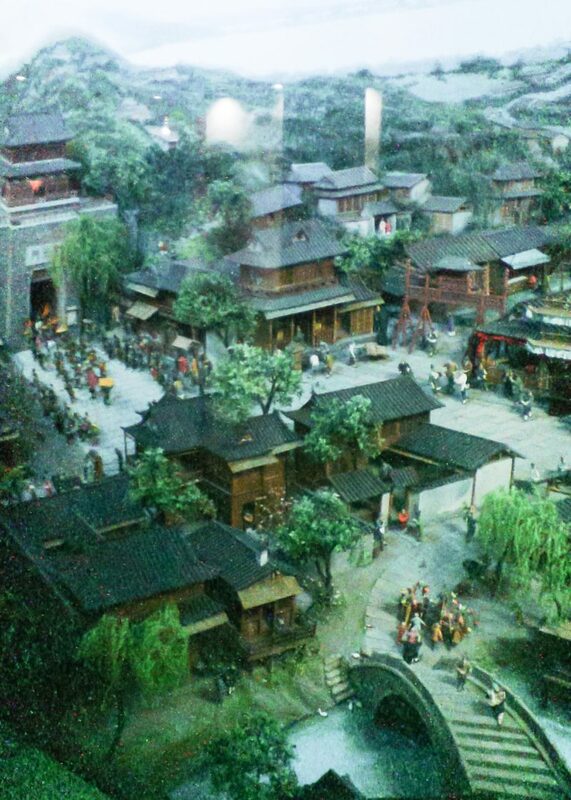 The first floor of Wushan Temple holds a 31.5m x 3.65m x 2m sculpture depicting the Southern Song Dynasty village of Hangzhou – the Imperial Palace, government buildings, civil residences, bridges, stores, entertainment places, festivals, and so fort, and so on. 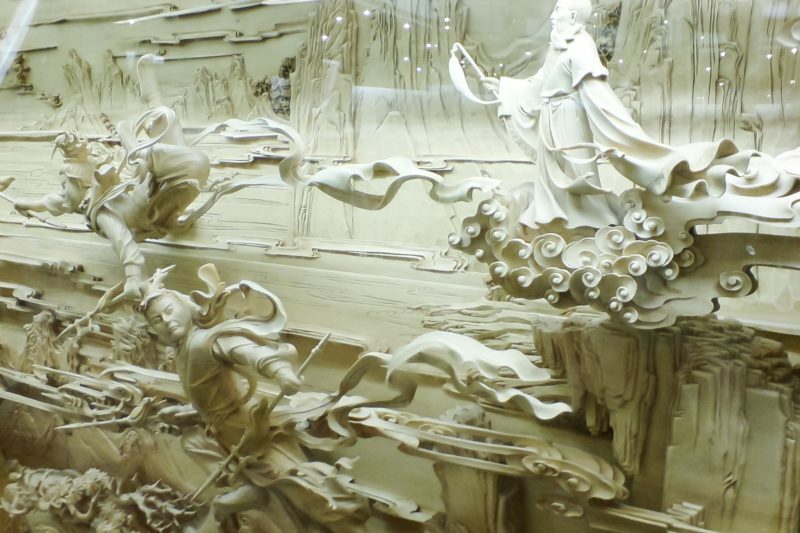 The sculpture was said to have received the first award for Outstanding Design in China Arts and Crafts Baihua Awards in 1988. On our way down, we watched a live Opera show but since we’re not used to their high-pitched melodies, we went down the hill and watched an acrobatic performance instead. 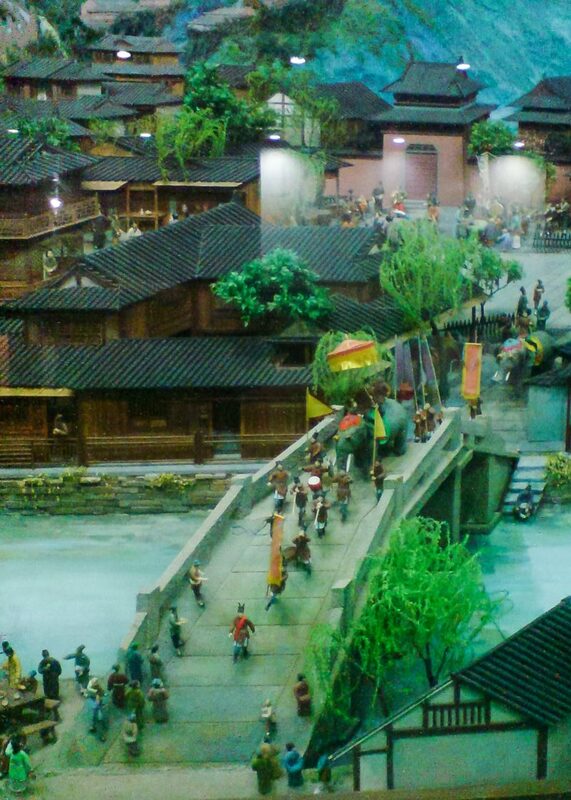 Alongside the Wushan hill, there’s a flea market selling artifacts and other souvenir items. 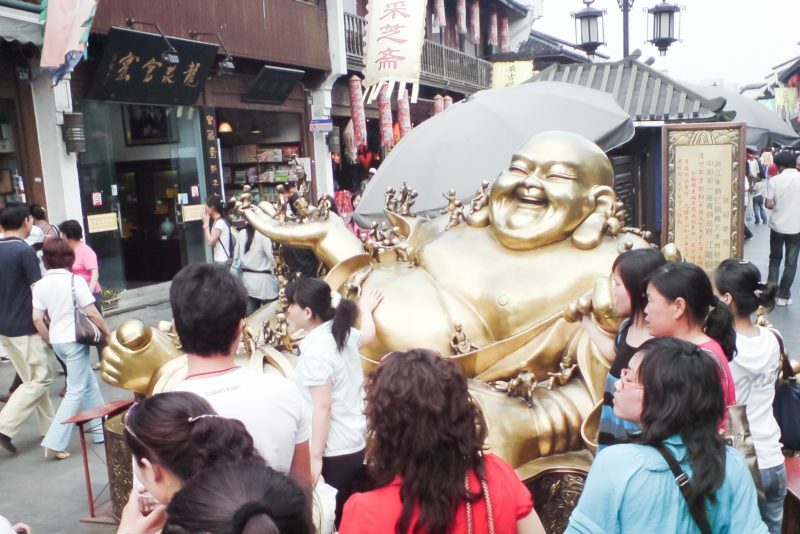 We checked a few stores, took a lot of photos on the big Buddha sculpture in front of a shop selling metal works of all kinds and sizes. Flea Market at Hefang Rd. where you could buy everything you need and everything you don’t. 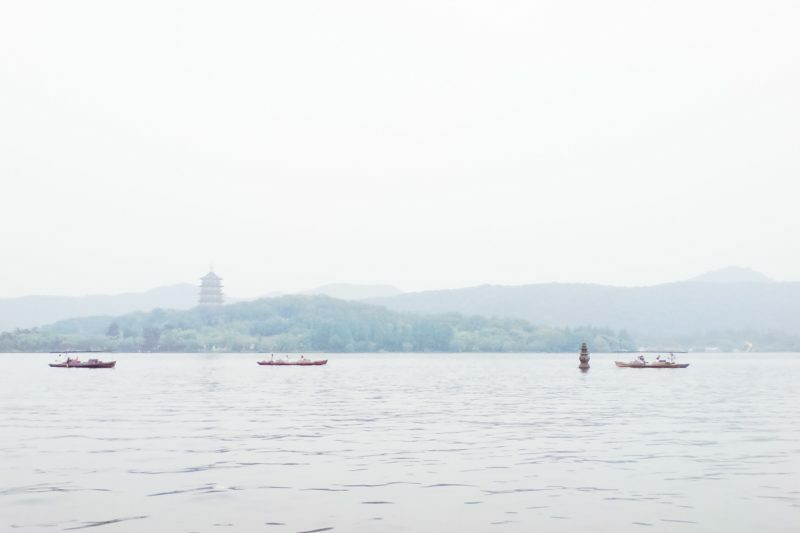 Back to the West Lake, we managed to secure boat tickets and visited two islets on the center of the lake and passed by the Three Pools Mirroring the Moon. 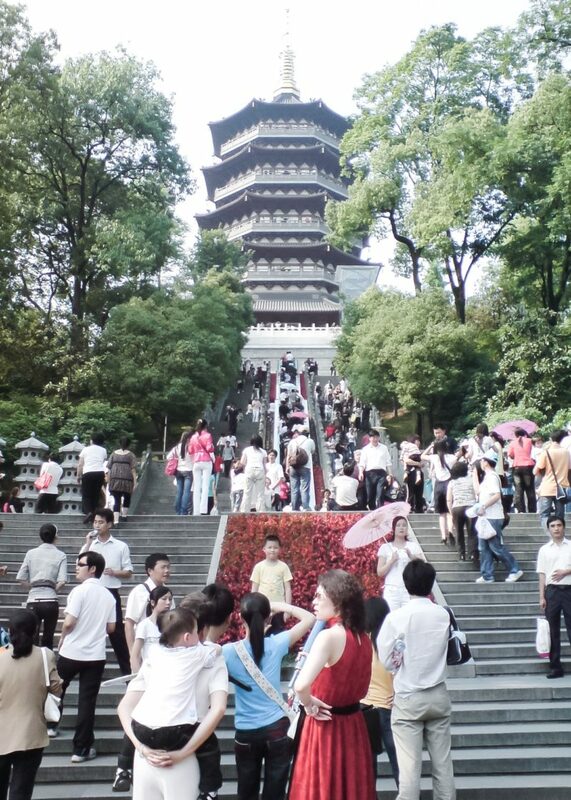 The next day, we strolled along the lake in Hubin Road until we reached the Leifeng Tower. 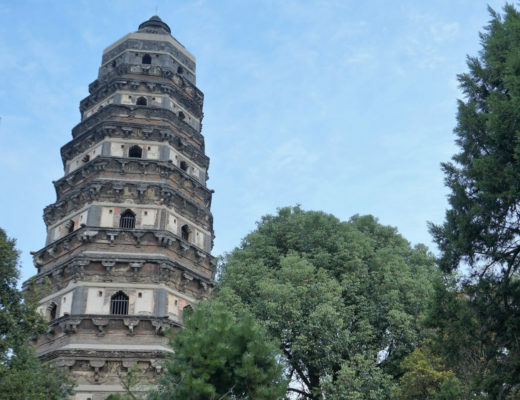 The original Leifeng Pagoda was built during the Yuan dynasty (975 AD) at the order of the King of Wuyue in commemoration of the birth of his son. However, with the advent of Ming dynasty, Japanese pirates burned the tower to ashes leaving only its brick framework behind. After many years, the remaining brick structure has collapsed and was buried underneath the grounds. 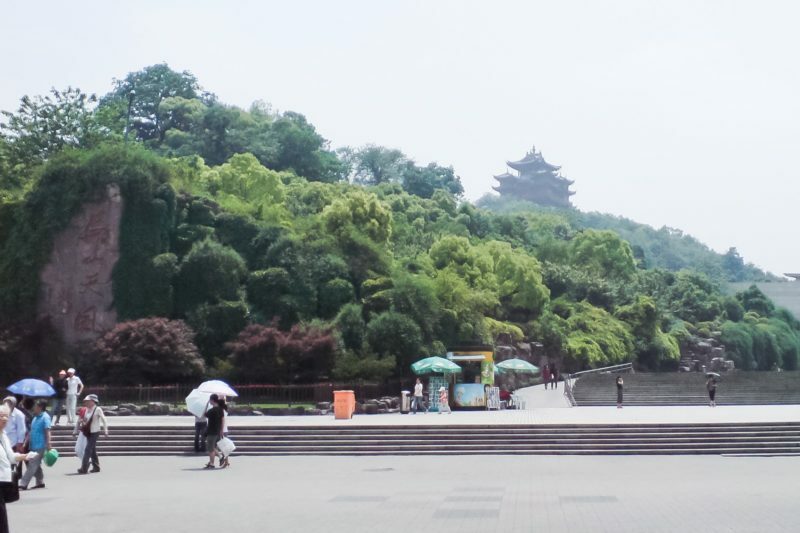 In 1999, the Government of Hangzhou and Zhejiang province decided to excavate the brick remains and ordered the reconstruction of the Pagoda. 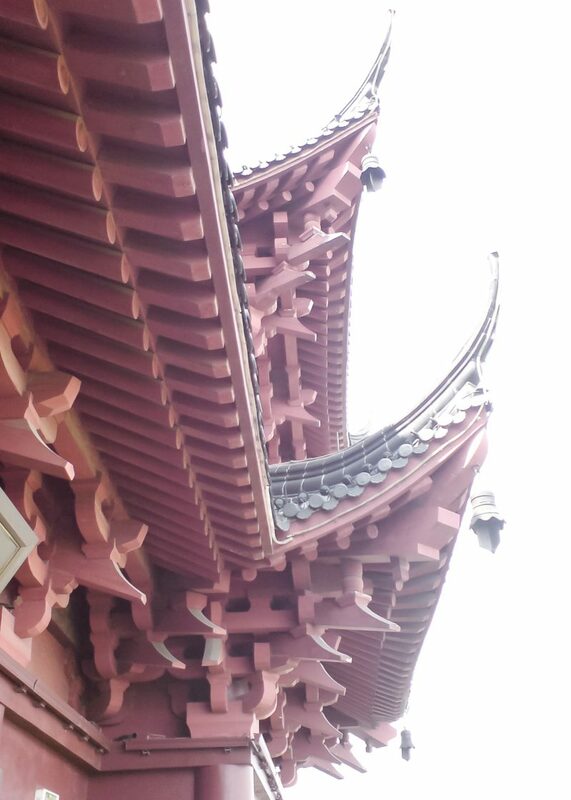 On October 2002, the construction of the new five-story pagoda has been finished and remained opened to the viewing public. Rumor has it that the remains of the Pagoda could “exorcise evils spirits, make people give birth to boys, and make silkworms thrive” for which the people of olden times were stealing bricks from its remains causing it to finally collapse. 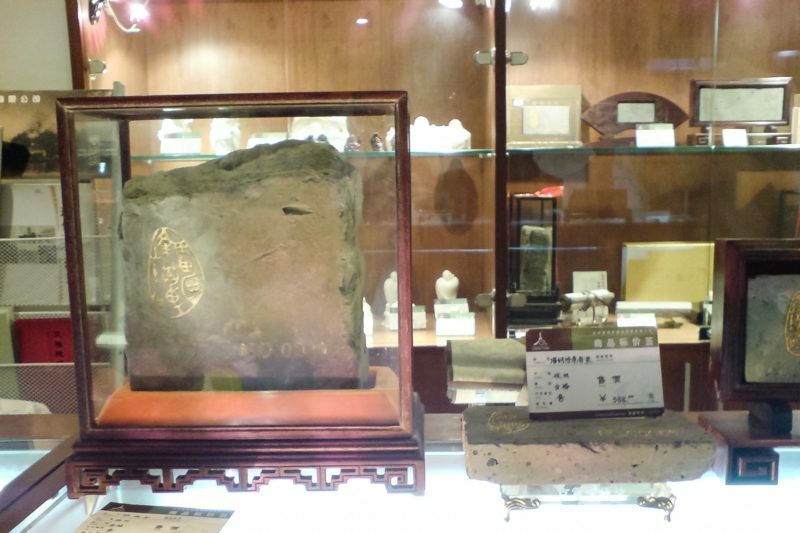 The remains of the brick structure (as well as the other treasures found in an underground chamber) are now being preserved and displayed at the base of the Leifeng Tower. But look, some of the bricks are being sold as souvenirs. I was thinking, if one day the gods decide to rebuild the tower with its original pieces, they would have to travel across the globe to gather all of the bricks together. 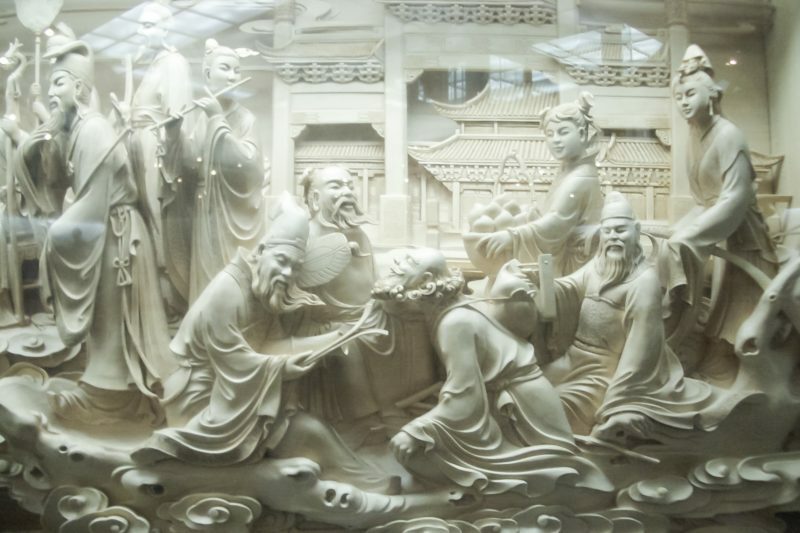 One of the five floors of the Leifeng Tower contains huge wooden carvings depicting the tale of a Bai Suzhen (White Snake) who, according to a Chinese Legend is a demon who transformed herself into a woman, falls in love with a mortal and was finally captured and imprisoned in the basement of the old tower. 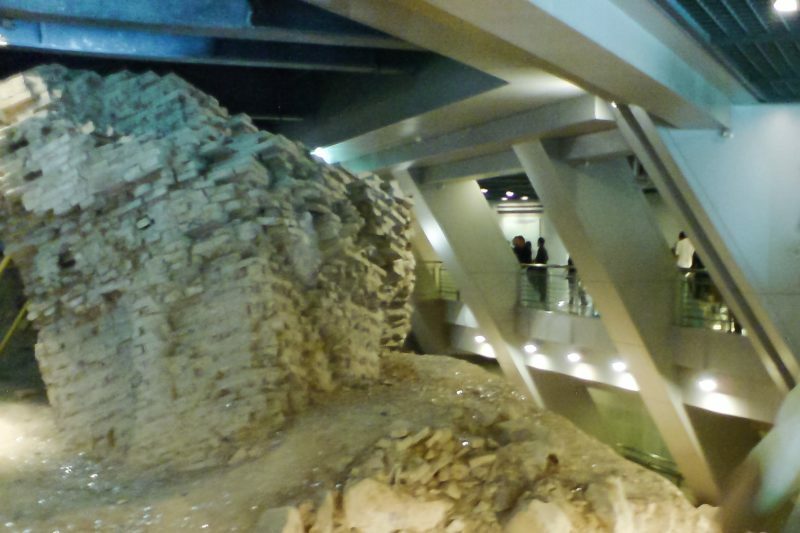 From the entrance gates, the Leifeng Tower could be accessed through an escalator leading to the base of the tower. From hence, you could go to each layer through two elevators though we still prefer to take the stairs instead because of the enormously long queues of shiny happy people. Regular entrance tickets are priced at 40 RMB per person. 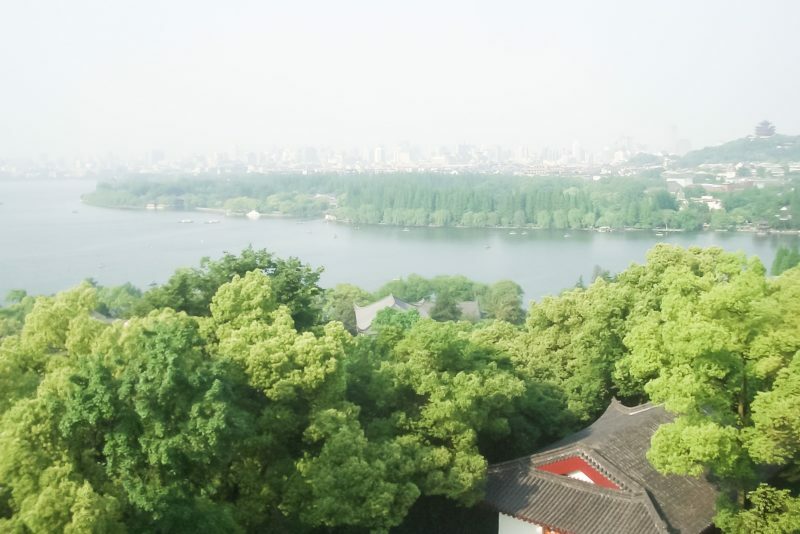 I worked in Kunshan (Jiangsu Province, China) from 2006 to 2009, and in the span of those years, we often frequented the West Lake on long weekends and major holidays. 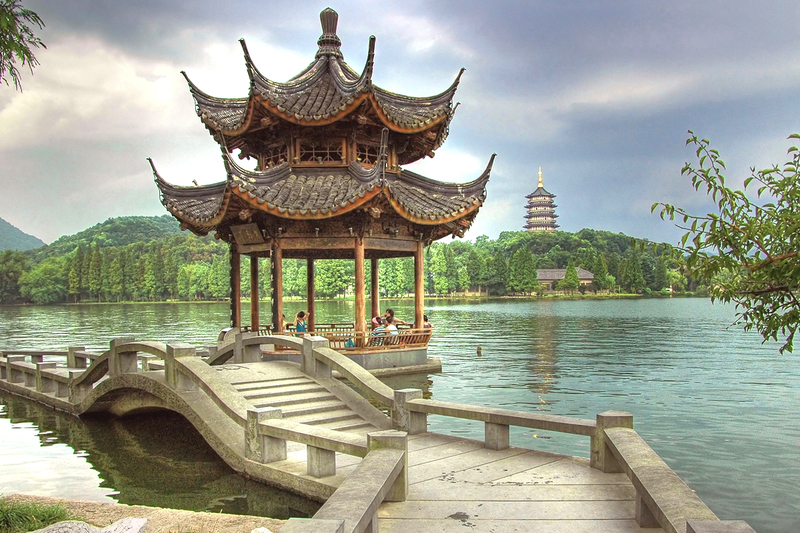 As the title suggests, you can’t visit all of the sites in Hangzhou West Lake in one go. The best way to visit as many sites as possible in one day is to stroll around the lake, as some of the major sites are situated around it. Start or end the day watching the Music Fountain in Hubin Road. 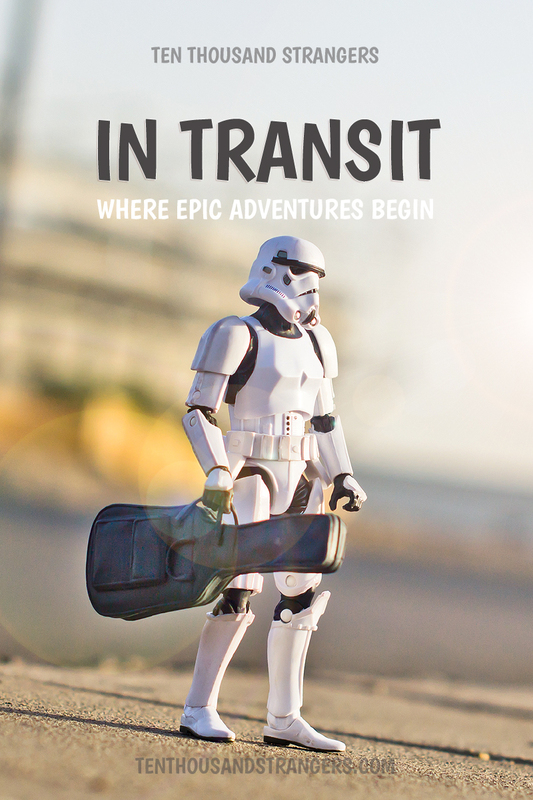 Should you decide to stay for a few more days, better book a hotel near the area and pick a few spots to go to each day. 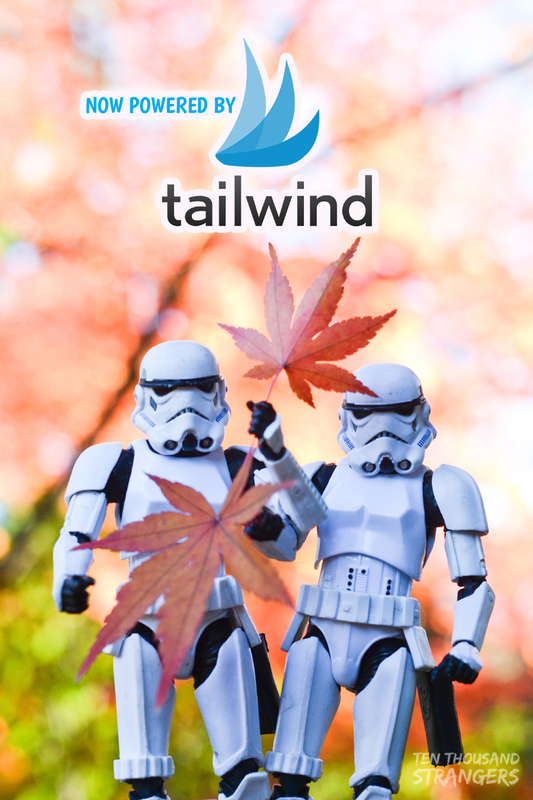 Book your hotels online, and in advance. 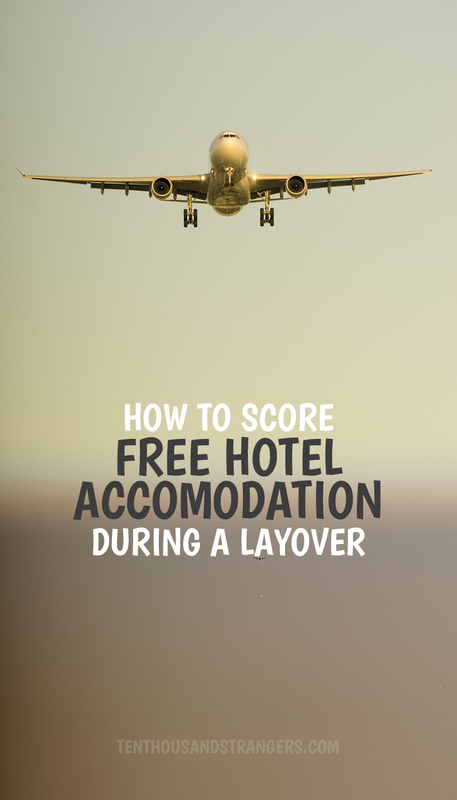 Especially if you’re visiting during peak seasons when hotel rates go exceptionally high. During one of our visits, we stayed at Sunny Hotel and I was so surprised to find out the actual hotel rate was more than twice of what we paid for online. And please do visit Meijiawu Tea Village and enjoy the finest tea varieties in the world or experience the traditional tea ceremony. We didn’t and I regret to have missed the opportunity but still plan to do so should I have the chance. 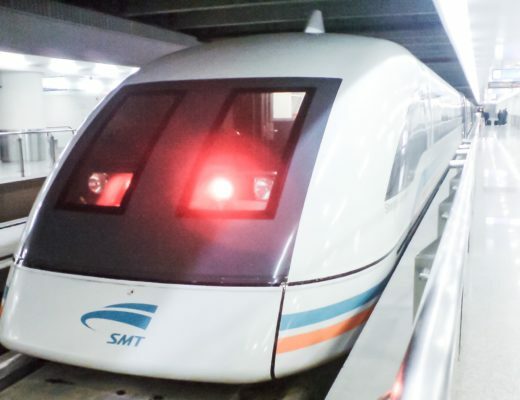 Traveling by train: Take the Shanghai-Hangzhou High-Speed Train (or the regular trains) from Shanghai Station to Hangzhou East Railway Station. From there, you could take a taxi and reach Hubin Road at approximately 20 minutes. 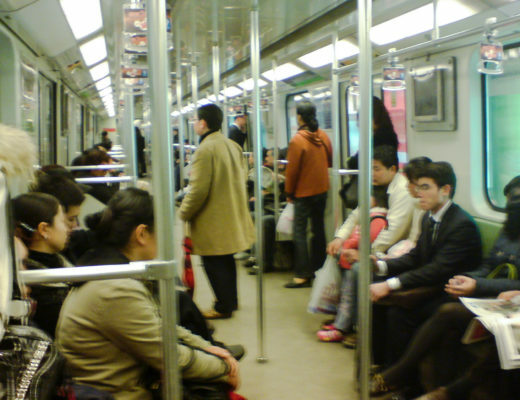 Traveling by Bus: Tourist Bus Lines take regular plights to the major sites around the West Lake. 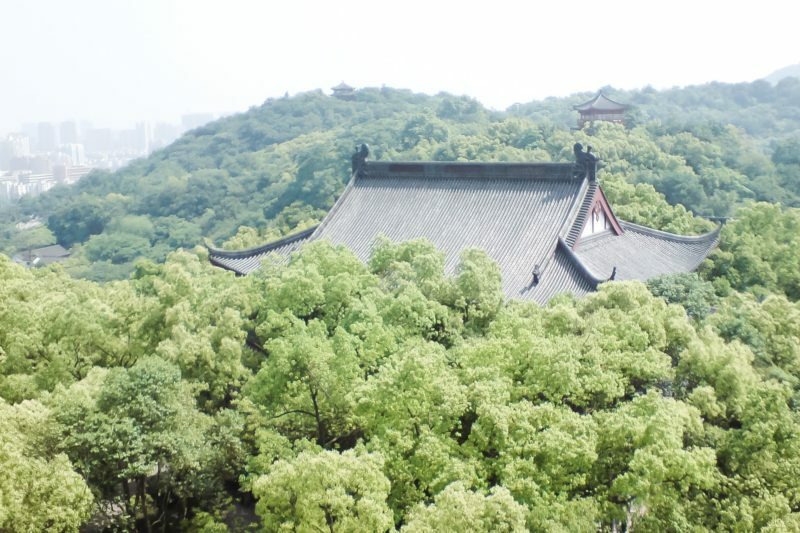 Bus Y2 provides service to the Lingyin Temple and Mausoleum of General Yue Fei. Bus Y2 and Y6 provide service to Hong Chun Qiao where you can visit the Twin Peaks Piercing the Clouds. 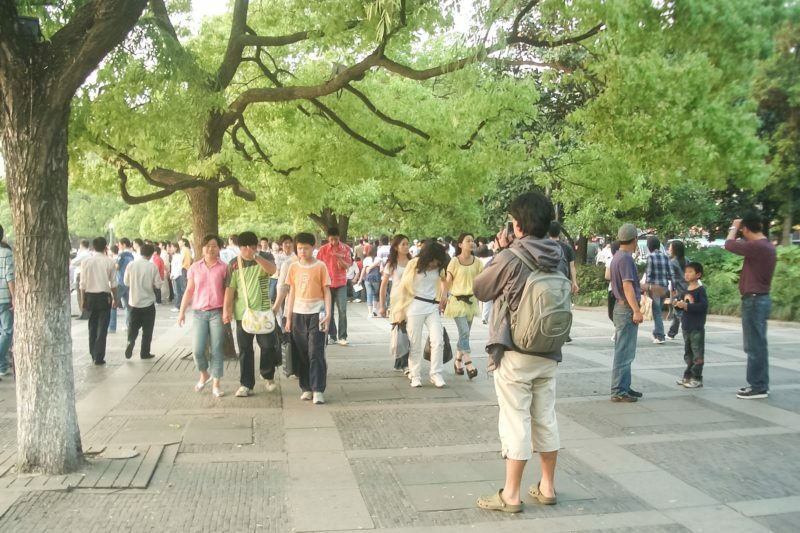 Tourism Information: West Lake, named a UNESCO World Heritage Site in 2011, was described as a cultural landscape that has influenced garden design in the rest of China as well as in Japan and Korea over the centuries and reflects the idealized fusion between humans and nature of traditional China. This is a cultural treasure that has influenced poets and painters throughout the ages for its natural beauty and historical relics. 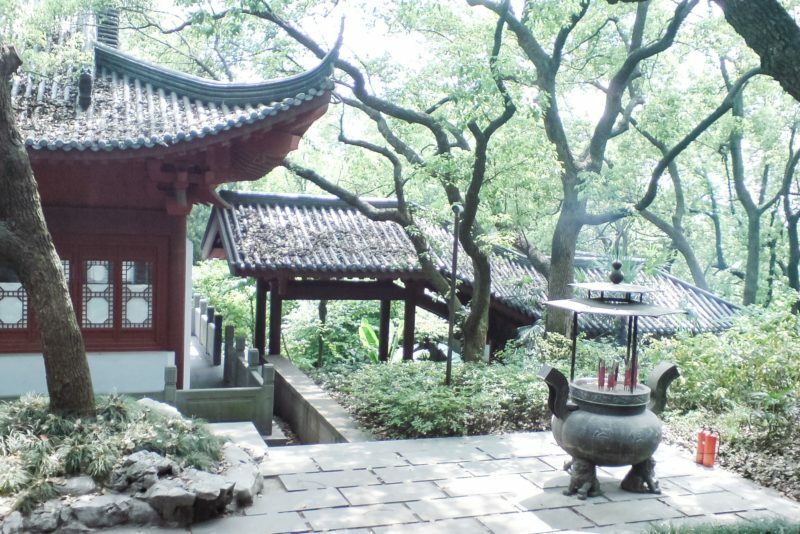 It has also been among the most important sources of inspiration for Chinese garden designers via the numerous temples, pagodas, gardens, and artificial islands within the lake. 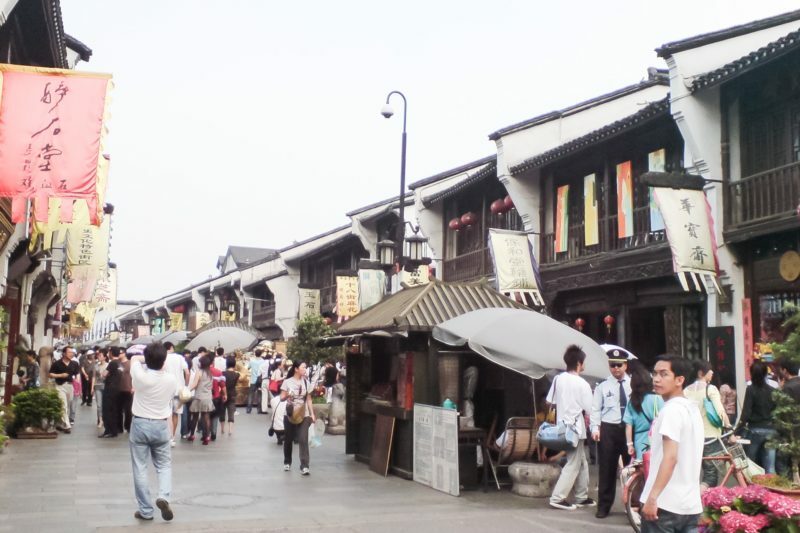 For more information, visit Hangzhou, China’s government portal or Hangzhou Tourism Page. 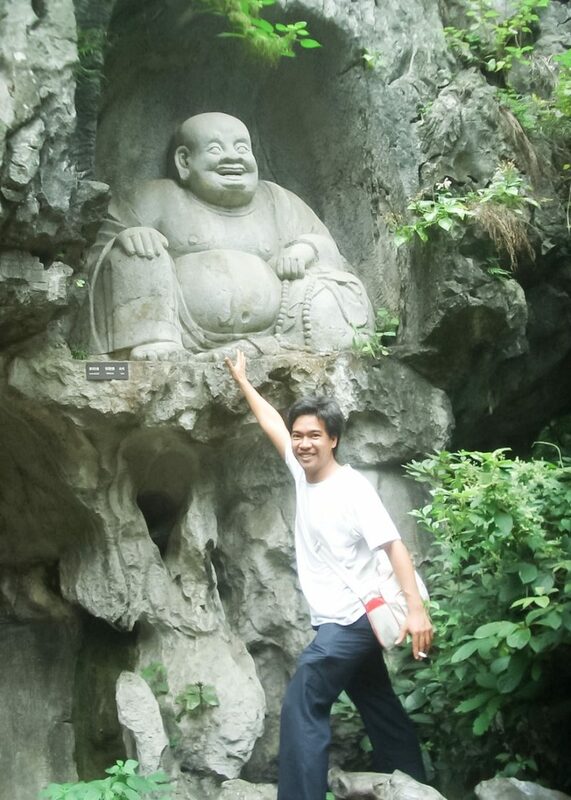 Or download and print the Hangzhou Travel Guide Tourist Handbook here. Except for the cover image from Pixabay, all photos were taken in 2008 using a dilapidated Sony Ericsson K790c camphone.